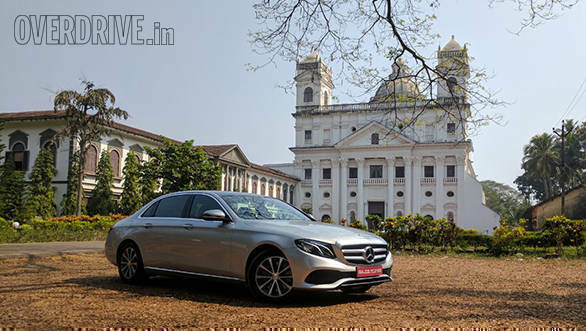 The E-Class is a massively important car for Mercedes-Benz in India. Since the company set up shop in 1999, it has sold about one lakh cars in our market. Of those, 34,000 have been the E-Class. 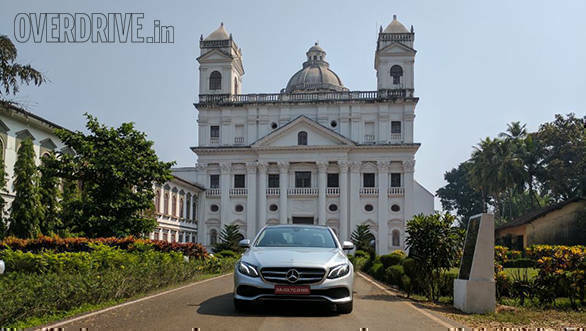 Understandably, there's a lot riding on the new one, and this time around Mercedes-Benz is doing something it's never done before  offering India the long-wheelbase model. The decision makes sense given that cars at this price point and above are primarily chauffeur driver. We're in Goa for the first drive to see if the new car justifies its potentially higher price tag. You've probably seen the pictures by now and know that this car wears the same design language as the C- and S-Class. I always thought that the large S-Class carries its design more elegantly than the C and the same applies to the new E. Up front, however, it's quite hard to distinguish the E from the C, unless you can spot the differences in the grille shape and design. The full-LED headlamps also slightly differ in shape and DRL layout. Still, most won't be able to tell them apart. Being the long-wheelbase model, the new E is over 5m long and this adds to the sense of presence and power. The rear slopes in a similar fashion to both its siblings, and the tail lamps also remind more of the C than the S. Overall, the E cuts a handsome, elegant yet all too familiar shape. The cabin is pure class. Like the outside, the dash is inspired by its siblings but inside it's more like the S-Class. The layered dash has beautiful flowing lines and houses a massive 12.3-inch high-res display that sits right next to the instrument cluster. The infotainment system is intuitive and easy to use via the multi-touch controller on the centre console. A clever design feature sees the dash form a subtle peak over centre display and instrument cluster, making them easy to read in strong sunlight. 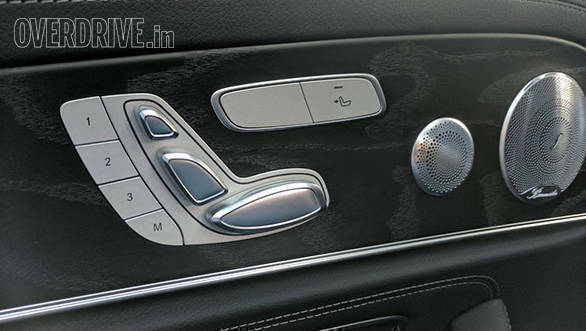 Unlike the fully digital dials available in the international E-Class, the India-spec car uses two analogue gauges flanking a full-colour MID. The E350d features a smart open pore black ash wood trim around the dash and door pads. 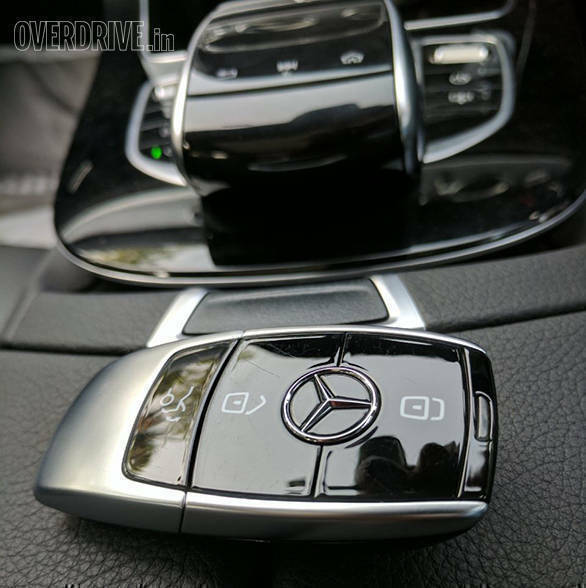 The circular air vents offer the same choice of focused or diffused air flow as the S-Class. There's a large panoramic sunroof and a crisp 13-speaker Burmester sound system. The steering wheel now features two intuitive touch-sensitive buttons that help scroll through the menus on the MID and main screen. 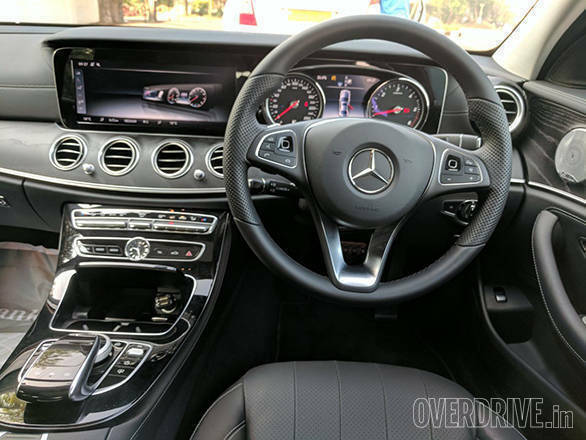 That dashboard is proper eye candy, but the new E-Class is all about the back seat. The long-wheelbase car is 205mm longer than the previous-gen E-Class and that results in incredible rear space. Even with a tall driver, the rear passenger will literally be able to lounge. The E can seat five but a tall transmission tunnel renders the car best for four. Both rear passengers will be spoilt with a generous 34 degrees of adjustable seat recline and individual controls for the rear windows and blinds on both sides as well as control over the sunroof and rear windscreen blind. The seats are large and supportive, and the rear headrests are as soft as putting your head on a cloud. It's easy to get lulled into thinking you're already at S-Class luxury but some features like four-zone climate control, rear seat entertainment (the E gets three) and a massage function are saved for the apex model. Soft close doors are missed too as the E needs a little more force than expected to shut the doors and boot. The 540-litre boot extends well into the body and is quite voluminous but not very deep. The space-saver tyre strapped to the boot does consume space, but there is still decent luggage-carrying capacity. 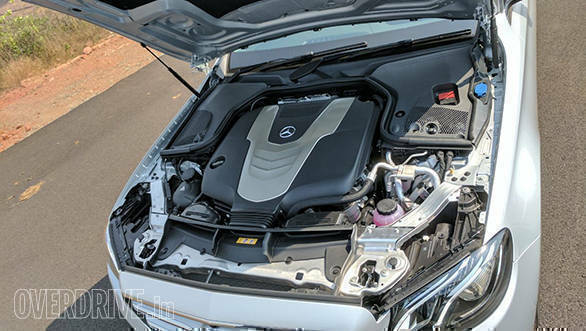 The new E-Class will be launched with two engines - a 2.0-litre turbo petrol and a 3.0-litre V6 turbo diesel. We're driving the latter and it's basically the same engine from the S350d which produces 258PS and a solid 620Nm of torque. The motor is decently refined but not the quietest in class and gets quite audible under load. A 9-speed auto is standard on the new E and it suits the car quite well with pleasant smoothness and quick responses. 0-100kmph takes a claimed 6.6s and top speed is 250kmph. The car has five drive modes  Eco, Comfort, Sport, Sport + and Individual. As usual, these modes adjust criteria like engine response, gear position, steering weight and suspension set-up. I found the E happiest in Comfort mode with a light steering feel and plenty of torque on tap for effortless overtakes. The Sport mode hastens and firm things up, but somehow it doesn't feel right driving the E aggressively, even though the car is game. Instead, it is happiest at a steady high-speed cruise where the engine is quite muted and the occupants are cosy in the plush, isolated cabin. 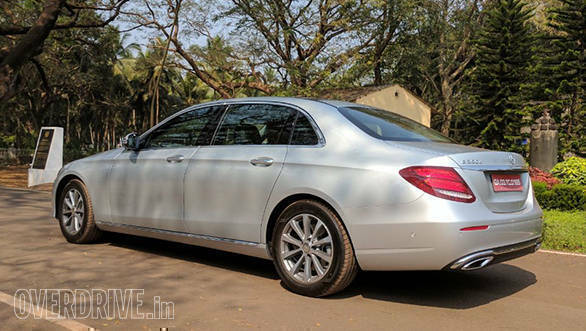 This is the first time a Mercedes-Benz E-Class comes to India with air suspension, in 350d trim, and the car certainly benefits. Ride quality on good roads is nearly magic carpet smooth. The suspension efficiently irons out any minor undulations or roughness, and comfort levels are excellent. However, as with all European cars that are traditionally designed for good roads, the E doesn't completely soak deeper and harsher bumps as well as we'd like. There's a bit of noise and some thudding on poor or broken roads. To be fair, this is a behaviour seen with most luxury cars and the air-sprung E rides better than many similar machines, but it's still not perfect. Ground clearance is quite generous and the air suspension also gives you the choice to raise the suspension to deal with extra-nasty speed breakers. Thankfully, Mercedes is offering the new E with 17-inch wheels, a sensible choice for our road conditions. The tyres are run-flats but don't seem to cause any significant compromises in ride comfort. The suspension has a softness to it that never goes away, even in the firmest Sport + setting. Handling is definitely improved over the previous model and is quite capable. However, the focus is on stability rather than pulse-raising responses. 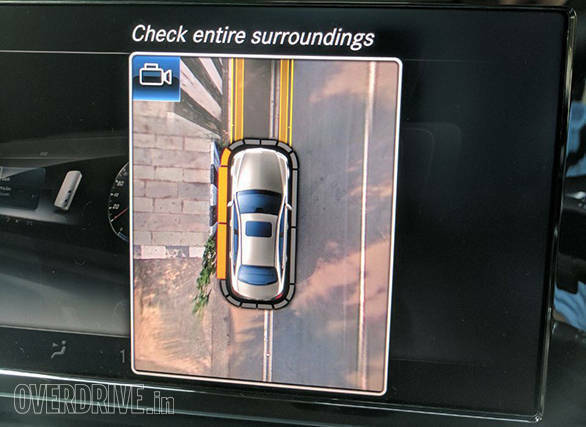 I like this  it gives the E-Class a clear sense of purpose instead of trying to be a jack of all trades. Ultimately, this is far from the most driver-focused car in its segment, but it certainly is the new benchmark in terms of sheer passenger comfort. 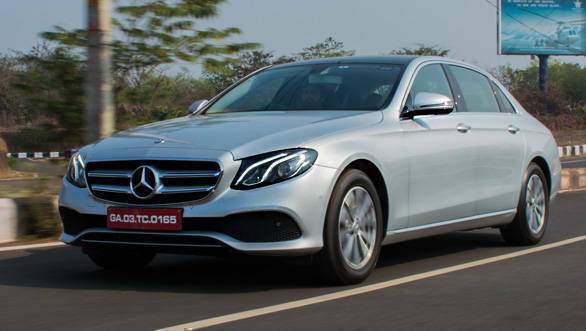 The new Mercedes-Benz E-Class is a thoroughly impressive car. 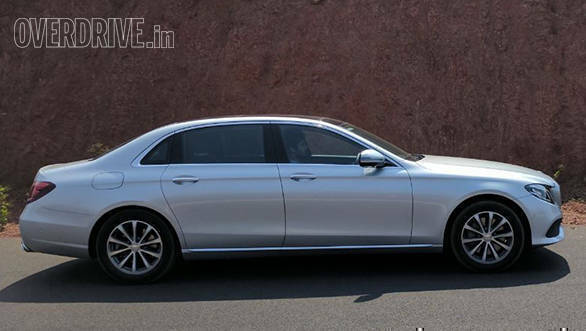 It won't just sustain the popularity of the E-Class brand, but will probably take it to new heights. With this iteration, the E-Class has moved closer to the S than ever before and it might even eat into its bigger brother's sales a little bit. Mercedes isn't too worried though as the traditional S-Class customers are quite clear about what they want. The decision to bring it in as a long-wheelbase model is a brave one because it will certainly raise the price by a fair margin, I reckon by about 10 to 15 per cent. Just how much will be clear when the car launches on February 28, 2017. Ultimately, as long as Mercedes-Benz is reasonable with the pricing, this car is destined for considerable success.